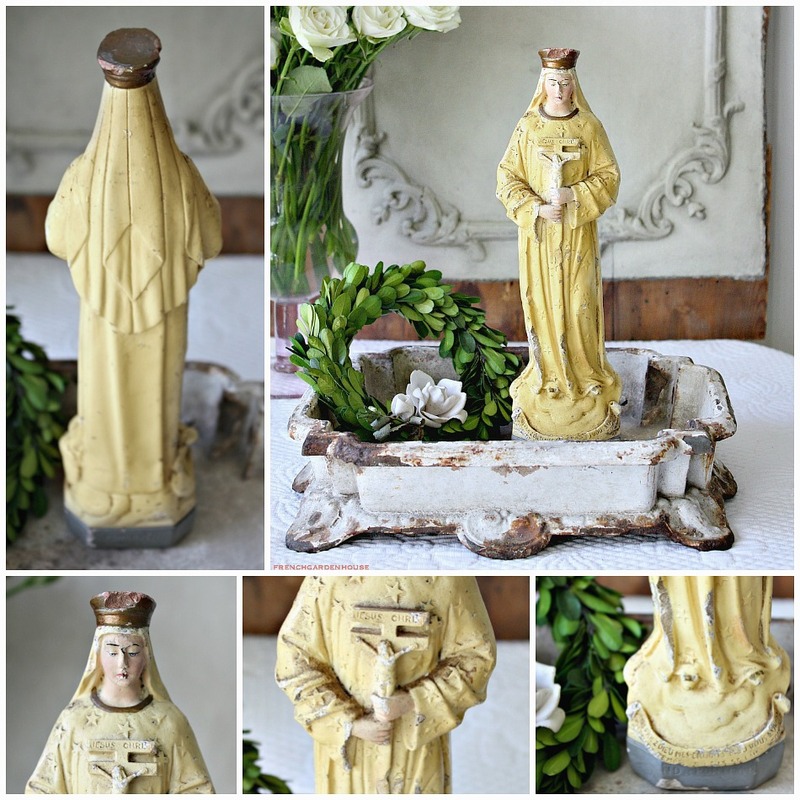 Early 1900's Virgin Mary, Our Lady of Hope, with hand painted finish, beautiful patina that shows how she has aged with grace over the last century. 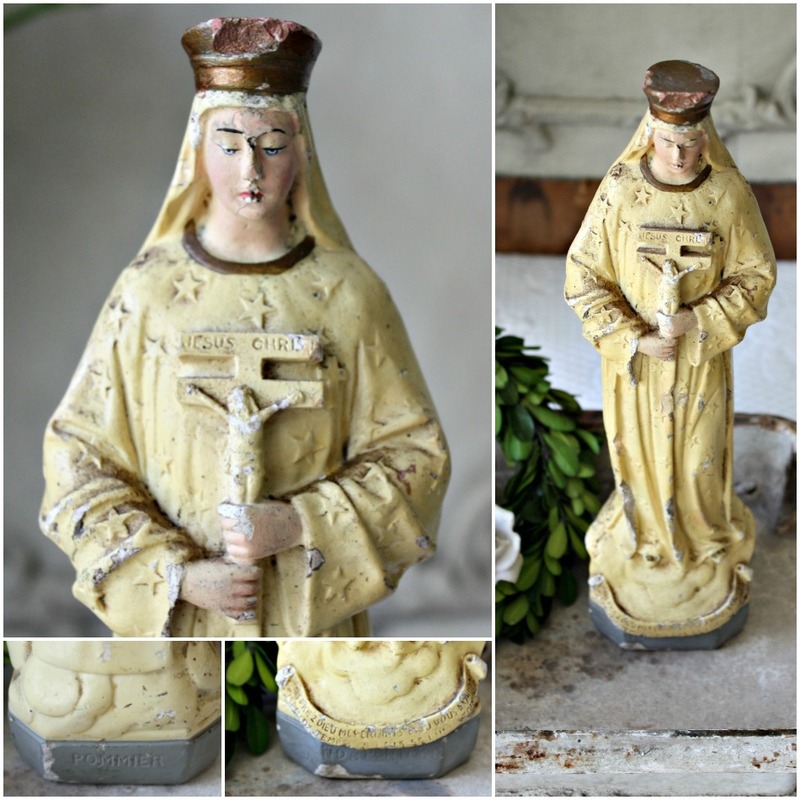 Perhaps sold on the steps of one of France's Cathedrals as a souvenir, figures or statues like this would be used at home in Brittany by the Catholic faithful in a niche, or on a home altar to revere the Holy Mother of God. This is the Lady of Pontmain, Our Lady of Hope, she appeared to children in January, 1871, it was then that the Prussians retreated in the Franco-Prussian War. 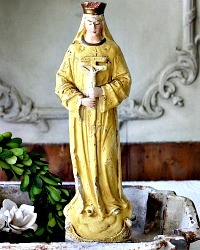 Wearing her gilded crown, she holds a crucifix, her gown is covered with stars. Painted a mustard yellow, she has faded on the back, she most likely faced a window for decades. 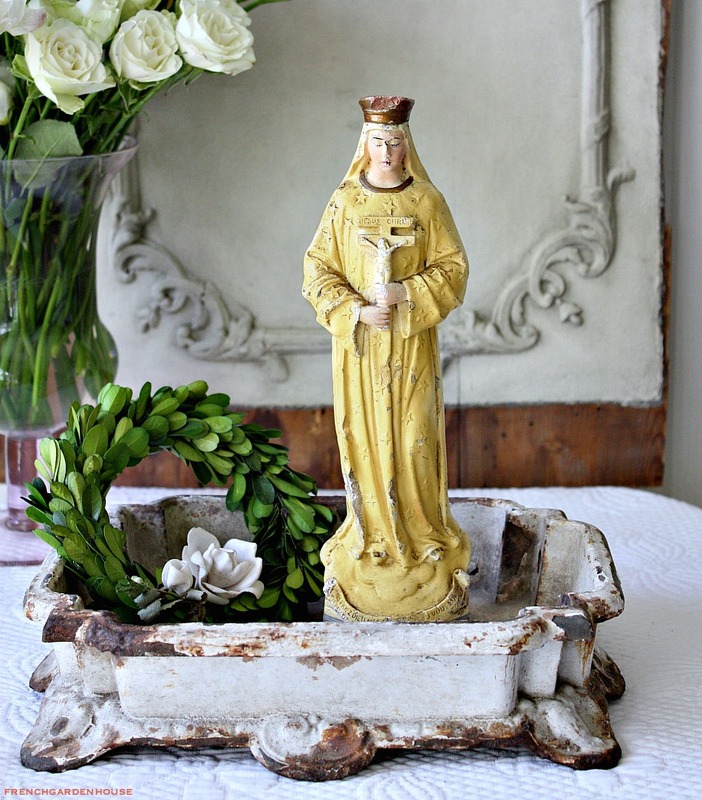 She has wear, patina and such a serene countenance, please only add her to your collection if you admire her as is. A beautiful addition to your collection of antique religious articfacts, santos, and missals. Display her surrounded by flowers and votive candles. Measures 10~1/2" H.